In the past only online stores needed to have SSL certificates and secure website status. At the end of July the Chrome browser started announcing that regular websites (http://) are “Not Secure”. Do you know that 68% of internet users believe that current laws for protecting their rights are not good enough? No wonder Google has taken a strict stance to ensure that it protects the privacy of their consumers. Security, they say, has always been “a top priority” for them. Marketers around the world have gone into a frenzy. They want to know, is SSL good for SEO? 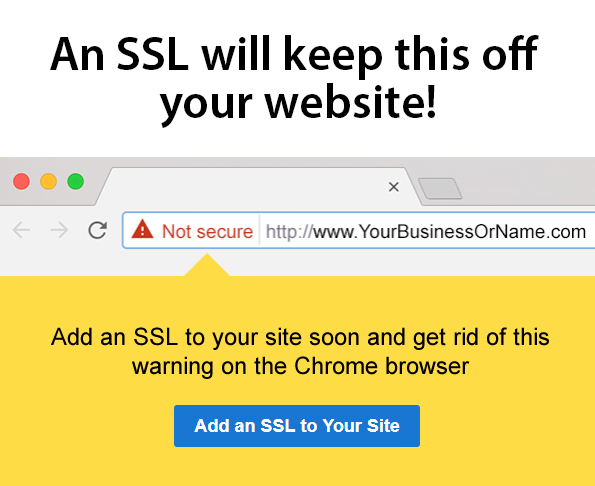 If so, which type of SSL certificate will bolster their search engine optimization efforts? Does it enhance the user experience? 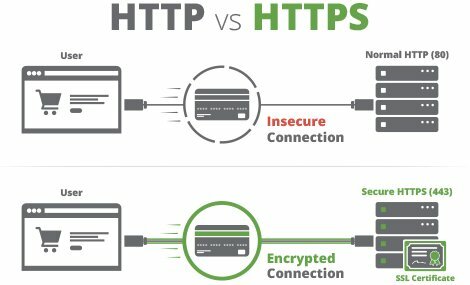 There is a lot of chatter around moving your website to HTTPS. Yet, most webmasters are still confused whether it’s worth the effort to implement an encrypted certificate. How do I know, they ask? Just 1.9% of the top 1 million websites redirect users to a default HTTPS/SSL version. Even when you look at the Quantcast top 10,000 websites – a measly 4.2% have made the shift to this secure version. Overall, less than .1% of the websites on the internet are secure. Websites MUST have their webmaster install an SSL certificate and update their Google Search Console. Choose Erickson Digital to install an SSL on your website for $50 plus the cost of the SSL. On GoDaddy your SSL will be $69 the first year and $79 the following years. If you are on Host Gator you will save a little bit. Do you want Erickson Digital to install your SSL?